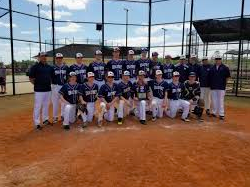 On Monday, the Oratory Prep Rams baseball team battled Morris Hills in the team’s fifth scrimmage of the year. The team, fresh off the Washington D.C. trip, came ready to play and ended up smoking the other team 5-1. As the team brushes off the rust from the offseason, I can personally promise a very strong year from the baseball team. Pitching was lead by Andrew Meisner who got the start. Meisner was simply dominant, pitching three no run innings while only giving up one walk and one hit. Although it is only the beginning of the year Meisner was in mid-season form throwing a nasty two-seam and then striking out opposing players with his wipeout slider. Jack Sildat came in relief for Meisner and kept the same mindset while pitching. Sildat pitched two solid innings walking only a few batters while preventing them from scoring more than one run. Senior Captain, Nick Demarinis, came in to close the game and successfully pitched the last two innings. Demarinis’s arsenal featured a two-seam fastball with arm side run which proved to be very hard to hit as he only let up one hit in his two innings pitched. On offense, the team collectively worked together to put balls in play forcing a strong Morris Hills team to make plays. Although the team only had four hits in the entire game, the team utilized their knack for small-ball, stealing and bunting when necessary in order to manufacture runs. James Kim had two hits while batting lead-off. In the top of the seventh inning, the team lead 4-1 when Liam Henderson ripped one into right field which sparked a last inning rally. Mike Roper came up with bases loaded and smoked a double over the first baseman’s head. The team utilized a different approach this game, instead of trying to simply mash baseballs they tried to put the ball in play and barrel up pitches to force the other team to make plays.